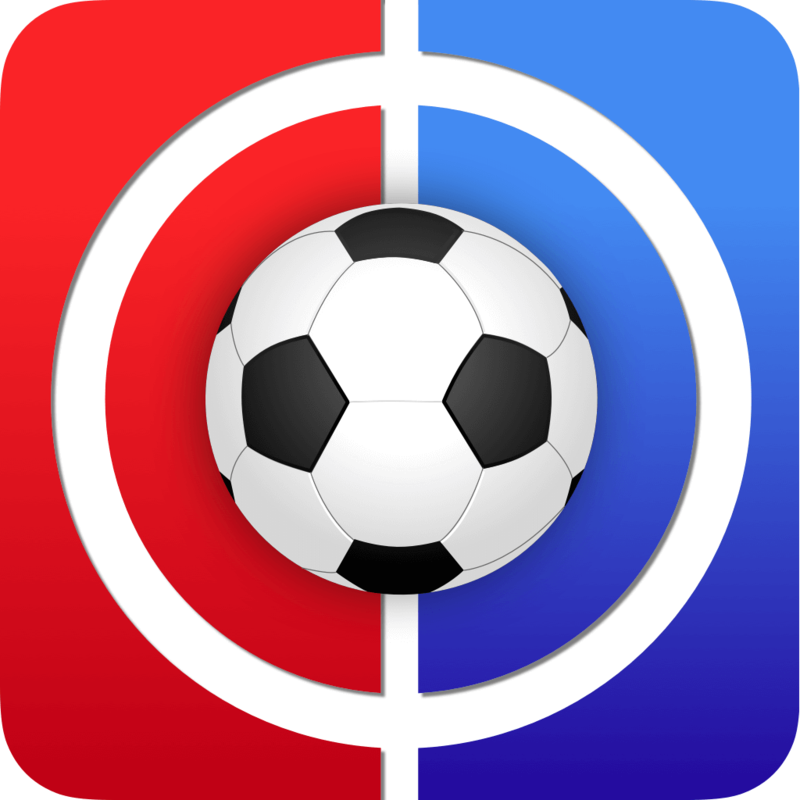 Welcome to Fantasy Football Tips Gameweek 14. So build me up (build me up) Buttercup, don’t break my heart. When I last wrote a Tips article I focused on the game’s most popular players and I’ve decided to take a different tact again this week. You don’t need me to tell you that you should be buying the likes of Sterling and Sane, which obviously goes without saying. Instead, this week, I have decided to focus on those players who feature for teams outside of the top 6. This will come as good news to United fans as it will give us an opportunity to tip United players!! Our first goalkeeper this week is someone who has kept just one clean sheet from the opening 13 games and has conceded a total of 22 goals in that period. I refer of course to Lukasz Fabianski. Great start to a Tips article, eh? Bear with me. Despite keeping just the one clean sheet he’s only 23pts behind Ederson who has kept eight clean sheets and has chipped in with an assist. How has he managed this? By making saves. With 53 saves to his name only Joe Hart has kept more. He has made three or more saves in a game on 10 occasions this season and on four occasions he’s made six or more. 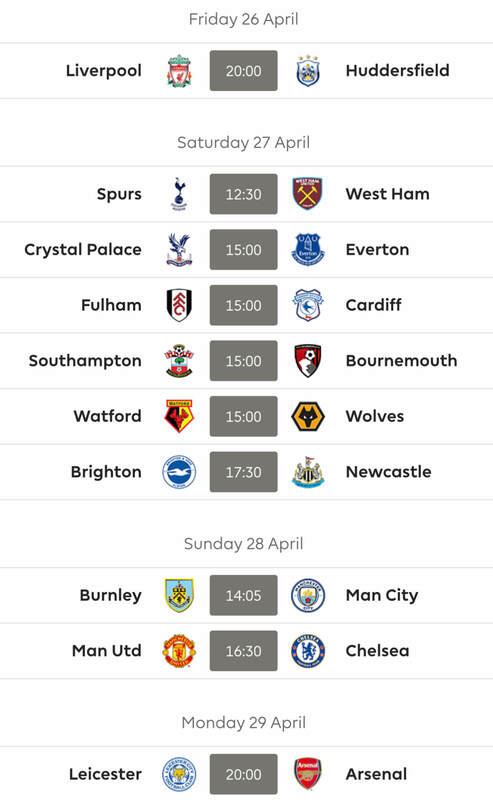 Given West Ham’s fixtures over the opening months of the season it was predicted that they would have a tough time and so it has proven. However, between now and GW21 they do not face a team in the top eight. Their opposition in these eight games have scored an average of just under 12 goals this season. Surely there are a number of clean sheets to be picked up over the remainder of 2018? 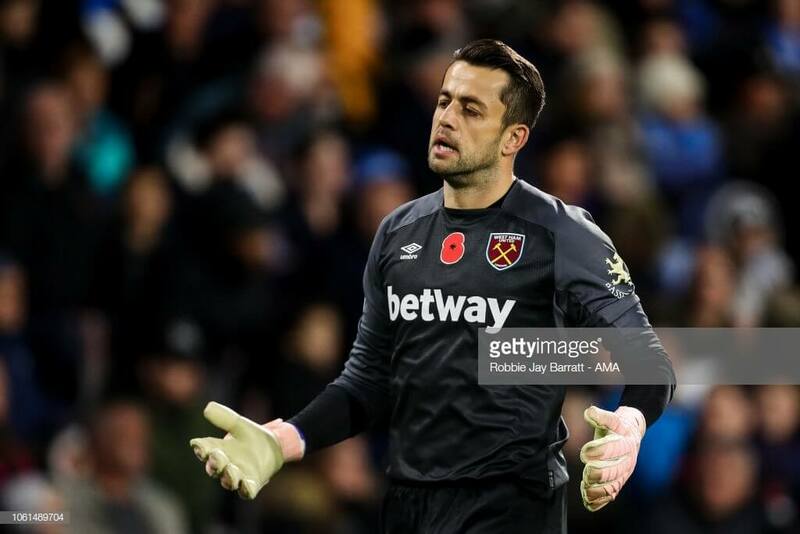 Should you be a fan of fixtures over form then Fabianski is the man for you! Having taken 10pts from their last four games Newcastle now sit 13th in the table, four points above the relegation zone. Mike Ashley must be wondering why the fans are always moaning! They’ve conceded just twice in this period and have afforded the opposition just 13 shots on target. With stats like these perhaps it’s time to consider Martin Dubravka. To be honest Newcastle’s defensive stats across the season have been ok, they actually have the joint 7th best defence in the league. They have a nice run of fixtures over the next five game-weeks and Dubravka could be a decent source for clean sheets. My only concern is his £5.0m price tag. A couple of other keepers outside of the top 6 worth considering are Brighton’s Matt Ryan and Huddersfield’s Jonas Lossl. Ryan has kept three clean sheets to date and is something like a mini Fabianski. He’s made three or more saves on nine occasions this season and it’s worth noting that he picked up a total of seven bonus points across the three games in which he kept clean sheets. Some might say that we’re only tipping Lossl as a result of Huddersfield keeping a clean sheet against Wolves on Sunday and I suppose there’s an element of truth to that. However, the stats suggest that they have improved defensively. Over the course of the season they have conceded 56 shots on target, nine teams have a better record. When we look at the past four game-weeks we see that they have conceded just 12 on target, only bettered by three teams. It therefore comes as no surprise that two of Lossl’s three clean sheets have come in the last four games. Given West Ham’s fixtures over the coming game-weeks I feel compelled to include a defender from the Hammers this week. But which one? At least Fabianski has stood out thanks to his saves, I’m not sure the same can be said for any of the defenders in front of him. 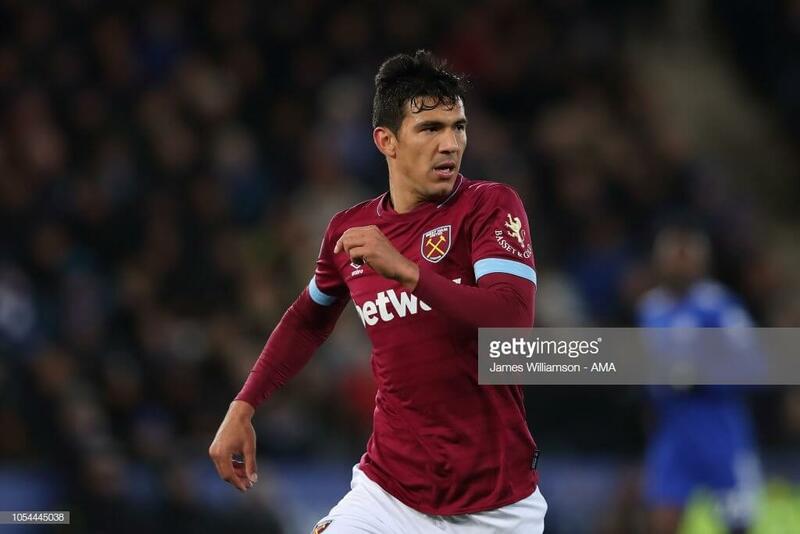 Having had a quick look at the underlying attacking stats Fabian Balbuena is the one to consider. He’s had 20 penalty area touches, the next best is Zabaleta with five. He’s had 14 attempts at goal, the next best is Diop with three. Admittedly, only two of his 14 attempts have hit the target! In terms of chances created Aaron Cresswell leads the way but his game time has been limited this season thanks to Arthur Masuaku. Balbuena’s defensive stats are also significantly better than any of his colleagues and it’s therefore no surprise to see that he leads the BPS among West Ham defenders by 46pts. This suggests that should the Hammers start to keep clean sheets then Balbuena is in with a shot of picking up some bonus points and it’s worth noting that in the only game in which West Ham kept a clean sheet thus far Balbuena claimed two bonus points. As I’ve already noted above Newcastle’s defensive stats are quite impressive and with a decent run of fixtures over the coming game-weeks it might be worthwhile investing in one of their defenders. For me it’s a choice between DeAndre Yedlin and Federico Fernandez. To date Fernandez (£4.4m) has scored 38pts and Yedlin (£4.5m) has scored 37pts. If we compare their underlying stats over the past four game-weeks we see that Fernandez has had two penalty area touches compared to Yedlin’s three, Fernandez has had one goal attempt compared to Yedlin’s three, with Yedlin registering one effort on target. Yedlin has created three chances compared to Fernandez’s one. As you can see there’s little to choose between the two but if I had to choose one it would probably be Yedlin. Against United on Saturday afternoon Crystal Palace picked up their first clean sheet since GW6. It should be noted that in the intervening period they faced the likes of Everton, Arsenal, Chelsea & Spurs so it shouldn’t come as a surprise that they struggled for clean sheets. Their fixtures are set to somewhat improve over the next few weeks and therefore Aaron Wan-Bissaka priced at £4.2m comes back into our thoughts. Granted he still features in 26.7% of teams but he has been sold off by many in recent weeks. His underlying attacking stats don’t bear comparison with PVA, but PVA’s form over the course of the season doesn’t warrant you spending the extra £1.2m on the Dutchman. I’ll finish up with possibly one of the biggest punts I’ve made in all the years I’ve been writing Tips articles and that is Cardiff’s Sol Bamba! This is what happens when I choose to ignore the top 6. I’ll be waiting for my P45 to arrive in the post this week!(Ed. no chance!) Over the past four game-weeks Bamba has had six attempts on goal with two on target. In fact, over the course of the season his underlying attacking stats are comparable to those of Balbuena. It’s just such a pity that Cardiff can’t defend and don’t have Fabianski between the sticks. However, by Cardiff’s standards their fixtures through to the end of 2018 are ok and this could very well see Bamba among the points. 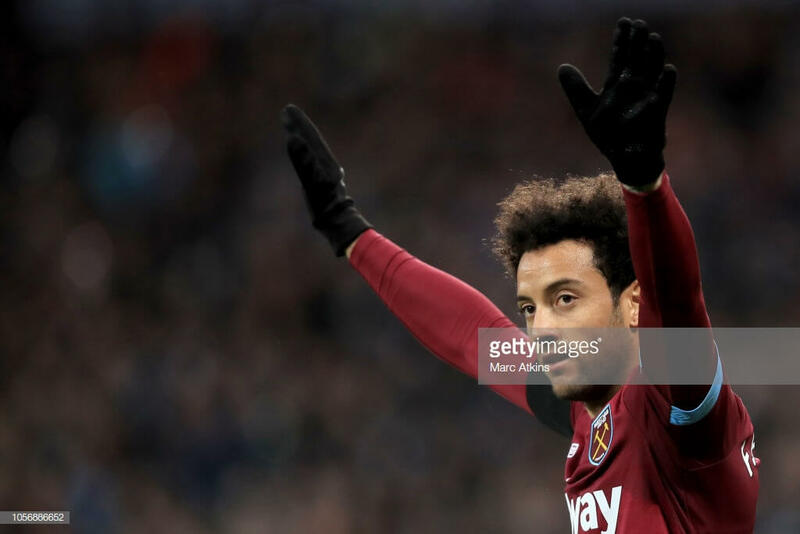 Continuing with our Hammers love affair our first midfield tip this week is Felipe Anderson. The Brazilian arrived in the Premier League with something of a reputation but like many before him he took some time to adapt to the league. To date he’s scored four and encouragingly three of those four have come in his last three games. He clearly does the majority of his best work outside of the area as in the past four game-weeks he’s had just 13 touches in the opposition area. He’s had just nine goal attempts but five of these have been on target. To be honest his stats aren’t overly impressive even when you compare him to those at a similar price point. However, sometime you need to look past the stats to the end product. He’s clearly the creative spark in the Hammers midfield and with their great run of fixtures over the coming weeks I expect to see more from the Brazilian. Despite Bournemouth’s upcoming fixtures I have decided to include one of their midfielders. This says a lot about what is available outside of the top 6! Rather than Ryan Fraser I am instead going for David Brooks. The reason being that at £5.1m Brooks is £1.1m cheaper than the Scot and I would find it very difficult to tip Fraser at that price given their fixtures. Brooks on the other hand is potentially 5th midfielder material and be rotated accordingly with a defender or forward. I think it’s fair to say Fraser is the better player but Brooks has impressed this season with three goals and an assist. Despite their tough fixtures over the coming game-weeks Bournemouth are unlikely to change their modus operandi, meaning they will attempt to play on the front foot and this means there is every chance Brooks will pick up some attacking returns. Having already tipped Sol Bamba I’m now going to tip two Cardiff midfielders, Callum Paterson and Victor Camarasa. As I’ve already alluded to Cardiff aren’t great at the back, unfortunately they’re not great going forward either. However, Paterson is priced at £5.2m and is currently playing OOP as the lone frontman, and has scored three times in his last five games. Colin has chopped and changed his forwards over the course of the season but Paterson has started each of the last seven games. He’s not going to set the world alight but given Cardiff’s fixtures over the coming weeks there’s every chance he’ll score another couple of goals. For those of you who want a £4.5m midfielder to sit on your bench every week Camarasa would appear an ideal candidate. Having missed out in GW1 the Spaniard has started every subsequent game. Amongst midfielders priced at £4.5m or less his stats are impressive, he’s had 13 (2nd) penalty area touches, 17 (3rd) goal attempts of which four (2nd) were on target and he’s created 19 (1st) chances. For some reason I thought Marko Arnautovic had scored more goals than he actually has. To date he has scored five and is currently just the 9th highest scoring forward in the game. He is however the 4th most popular player in the game. Is he deserving of his popularity levels? Personally, when I thought of strikers outside of the top 6 for this article his was the first name to pop into my mind when there are actually four other strikers outside of the top 6 who have scored more points than him. 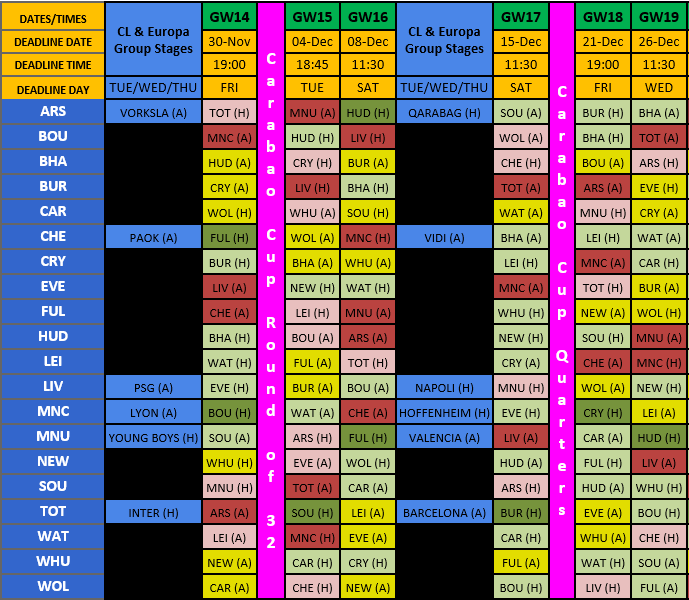 However, as I’ve already pointed out, more than once, West Ham have some superb fixtures over the coming week. Arnie’s stats are also quite impressive, over the course of the season he’s had 81 (3rd) penalty area touches, 34 (5th) goal attempts of which 16 (4th) were on target. While he’s also created 16 (5th) chances. These stats are made more impressive when you consider that the Austrian has missed two games due to injury. 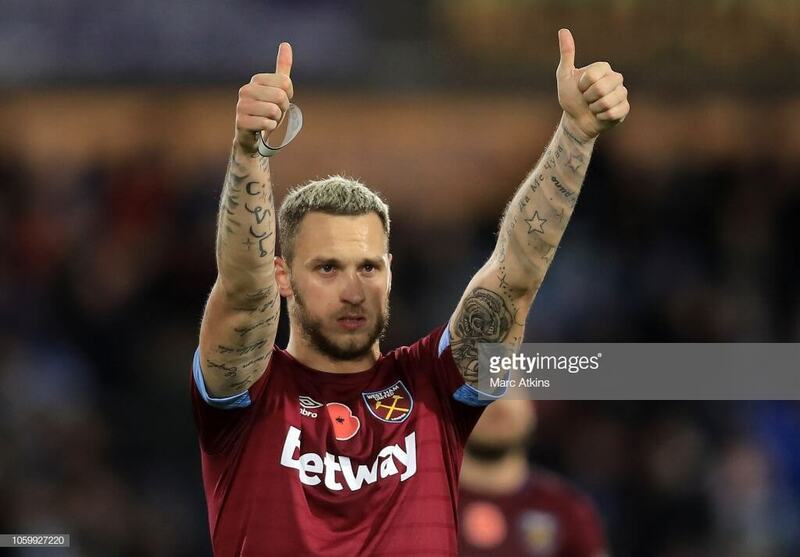 Speaking of injuries, Arnautovic is currently a doubt for the weekend so if you do have plans to purchase him this week I wouldn’t do anything until we bring you Team News on Friday. To call Glenn Murray a journeyman is possibly doing him a disservice but he’s certainly been around the block. He’s played the majority of football in the lower leagues and in the past he hasn’t exactly shone in the PL. However, having scored 12 last season and seven thus far this season he is certainly sticking two fingers up at those who say he’s too old. I’ve had a look at his stats and they’re not very impressive but that’s hardly a surprise given that he’s not the most mobile striker in the league. He does however know where the back of the net is and at £6.7m he’s certainly value for money. After Arnautovic and Murray there’s very little to get remotely excited by! Given Bournemouth’s fixtures and the fact that Callum Wilson is now priced at £6.8m means I can’t tip him. I’d include Salomon Rondon if I felt he could repeat his two goal salvo from GW12, but I don’t. Crystal Palace have some great fixtures ahead but have scored just eight times this season which rules out Wilfried Zaha. Can I really include just two strikers in a Tips article? I don’t know! But for good measure I’m going to include everyone’s favourite Serbian, Aleksandar Mitrovic. I’m well aware that Mitrovic blanked for six consecutive weeks before his brace against Southampton at the weekend and it’s unfortunate that he won’t face Southampton every weekend. However, he strikes me as the kind of player who’s at his best when he’s confident and those goals against Southampton will certainly have given a boost to his confidence. So too will the words of his new gaffer who following the Southampton game claimed Mitrovic to be one of the best strikers in the world. Admittedly Fulham have some difficult games over the coming weeks but don’t be surprised to see Mitro’s name on the scoresheet. Before I wrap up I really should include a United player for fear of upsetting our Mancunians. Unfortunately the pickings are slim. Their clean sheet against Palace was just their 2nd of the season so that rules out de Gea and his merry men. To be honest there’s really only Anthony Martial. Despite his six goals in five games between game-weeks 8&12 I don’t tip him with a great deal of confidence. United continue to struggle and the fast flowing football we once associated with them is but a thing of the past. His stats over the past six game-weeks are pretty impressive and perhaps we should look past the team and concentrate on the player. On a final note it looks as though it’s the turn of West Ham to build us up and let us down! Thanks Kop for this article and thanks Kralin and AT for the other GW14 articles. Wonderful stuff. I’m just glad that all those worrying yellow exclamation marks have started to disappear from my team. Plus the Hazard news is most welcome. Going to have to wait until tomorrow to make my move but if everyone is fit it will have to be Mendy out with a view to bringing Kane in next week. Yes, I’ve finally got round to throwing Mendy over as well. Can’t decide between Bamba and Balbuena. The latter will no doubt win, being the cheaper. With those upcoming fixtures and those underlying attacking stats, I think Balbuena sounds great. I hadn’t fully appreciated how hard West Ham have had it so far this season compared to how easy they will have it for the rest of the year. But given I have Fab I don’t think I’ll be doubling up on West Ham! Please RMT. 2FT and £2.1M itb. Really unsure what to do this week. Considering some kind of holding move to use 1FT and roll the other, as vague notions of dumping Haz next GW and bringing in Kane. Or plan z, Patricio to Fab, spread things a bit, then unleash 2 FT to devastating effect in a couple of days. The Kane/Sane/Mane tercet to be is tormenting us all. Especially if we pronounce Kane like Sané & Mané! Maybe this was an accepted local pronunciation in Shakespeare’s time? Yes but you are right in ruminating over this issue. Perhaps secretly we are all hoping that Hazard’s injury problems may be declared serious enough to finally ‘press the button’ – to enable Kané into our teams, or to bolster mid-field with City guns! Time shall tell – but first we must allow Eden to step upon the stage & fulfill his destiny ‘gainst Fullham (I hear cries of ‘At least we’ll die with harness on our back’, from the Scottish play!). Oops! Rambling! Ha’ a good game week people! Baines helps balance things out there. Hopefully Hazard shall lead gloriously from the front for managers, not so much in the manner of Macbeth (or indeed Lord Cardigan). One site says of Cardigan that; ‘Beyond writing letters pointing out the deficiencies, Cardigan did nothing’. Hang on! I recognise myself in that description! Not advising people on their teams, but writing letters about my shortcomings! Oh woe is me! The Charge of the Light Brigade was a fiasco! Oh Kralin – is my season doomed??? Just sat down to read this and not disappointed. Glad to see Calum Paterson at last get a mention. Even if he doesn’t score, he’s still OOP and therefore everyone should buy him without question. He’s also the worst right back I’ve ever seen which might explain his appearances up front now I come to think about it …..
i’m on a Wildcard, what’s your thoughts? any improvements?